1.One digit numbers are from 1 to 9.There are 9 one digit numbers. i.e. 9*100. 2.Two digit numbers are from 10 to 99.There are 90 two digit numbers. i.e. 9*101. 3.Three digit numbers are from 100 to 999.There are 900 three digit numbers. i.e. 9*102. In general the number of n digit numbers are 9*10(n-1). 5.Sum of the squares of the first n natural numbers i.e. 12+22+32+...+n2=n(n+1)(2n+1)/6. 6.Sum of the cubes of the first n natural numbers i.e. 13+23+33+...+n3=[n(n+1)/2]2. Example:What is the value of 51+52+53+....+100 ?. Divisiblity by 2: A number is divisible by 2 when the digit at ones place is 0,2,4,6,8. Divisiblity by 3:A number is divisible by 3 when sum of all digits of a number is divisible by 3. Divisiblity by 4: A number is divisible by 4 if the number formed with its last two digits are divisible by 4. Example:If we take number 45024, the last two digits form 24.Since, the number 24 is divisible by 4, the number 45024 is also divisible by 4. Divisiblity by 5: A number is divisible by 5 if its last digit is 0 or 5. Divisiblity by 6: A number is divisible by 6 if it is divisible by both 2 and 3. Divisiblity by 7: A number is divisible by 7 when the difference between twice the digit at ones place and the number formed by other digits is either 0 or divisible by 7. Example: 658 see here 65 - 2*8=65-16=49. As 49 is divisible by 7 the number 658 is also divisible by 7. Divisiblity by 8: A number is divisible by 8, if the number formed by the last 3 digits of the number is divisible by 8. 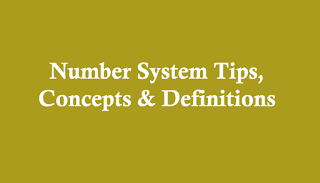 Example: If we take the number 57832,the last three digits form 832.Since, the number 832 is divisible by 8, the number 57832 is also divisible by 8 . Divisiblity by 9: A number is divisible by 9, if the sum of all the digits are divisible by 9. 18 is divisibley 9 so, 684 is also divisible by 9. Divisiblity by 10: A number is divisible by 10, if its last digit is 0 . Divisiblity by 11: A number is divisible by 11, when the difference between the sum of its digits in odd places and in even places is either 0 or divisible by 11. 13 - 2 = 11. As the difference is divisible by 11 the number 30426 is also divisible by 11. 1) The sum of three consecutive natural numbers each divisible by 3 is 72.What is the largest among them? The largest of them is 27. 2) How many numbers up to 700 are divisible by both 3 and 5 ? solution : Quotient when 700 is divided by the LCM of 3 and 5 i.e., 15 is 46. 4) Which of the following numbers will completely divide (551+552+553+554+555)? Since 781 is divisible by 11,551*781 is also divisible by 11. 5) Find the sum of all natural numbers from 100 to 175.
solution : From 100 to 175 mean including both 100 and 175. Sum of natural numbers up to 99. Sum of natural numbers up to 175. Sum of all natural numbers from 100 to 175=15400-4950=10450. 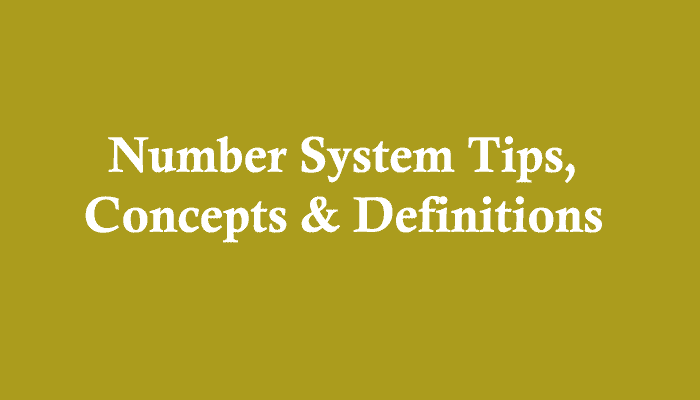 *To get the concept, Number System Shortcuts, Practice Problems and Solutions.